If the name WRX conjures up visions of rally legends dancing in your head like the late great Colin McRae hurtling sideways through a Welsh forest in a blue and yellow 300-hp Impreza, you’re not alone. North Americans were sadly left out of the fun and didn’t get their hands on the first generation Impreza WRX introduced to the rest of the world in 1992. Models like the STI 22B have become things of folklore these days, rare and highly sought after. Resourceful types were able to import right-hand drive versions straight from Japan and got their fix that way but the WRX wouldn’t officially land on our shores until 2001. The even hotter STI arrived in 2004 and made around 300 hp from a 2.5 litre turbocharged boxer engine that gave it the same centre of gravity as a worm. It could accelerate to 100 km/h in under 6 seconds, on virtually any surface. 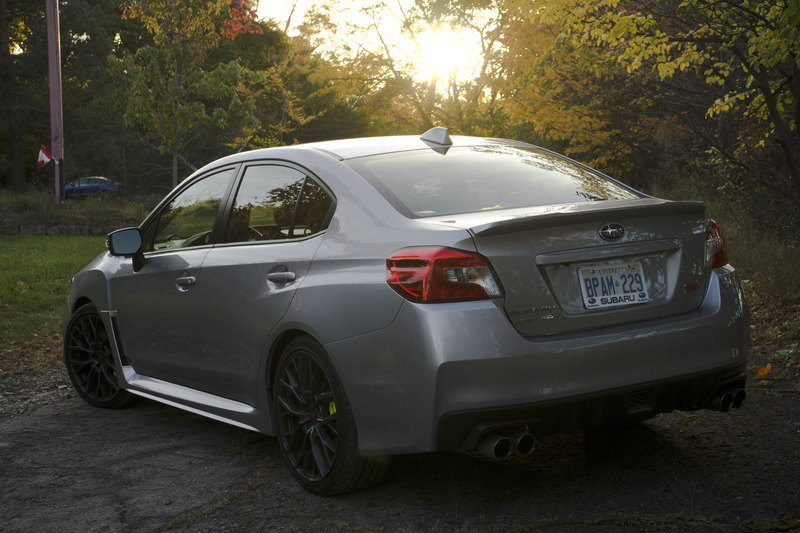 As tough as nails, the STI’s robust AWD system and rugged “no frills” character was an endearing aspect of owning the car. This was a 4-door sports car that could go anywhere, no matter the weather or road conditions. Couple that with an illustrious racing pedigree and it’s no wonder why most car enthusiasts keep a special place in their hearts for this little turbocharged Subie. Strangely, Subaru decided to drop the Impreza name for the 2015 model year choosing instead to only use WRX and WRX STI. I spent a week with the 2019 Subaru WRX STI which soldiers on with some minor changes and came up with 10 things you need to know about it before an all-new one comes out in 2020. The STI has made about 300 hp since the beginning of time. Sure there have been some special versions with a bit more, but this power figure has remained largely unchanged. Until now. 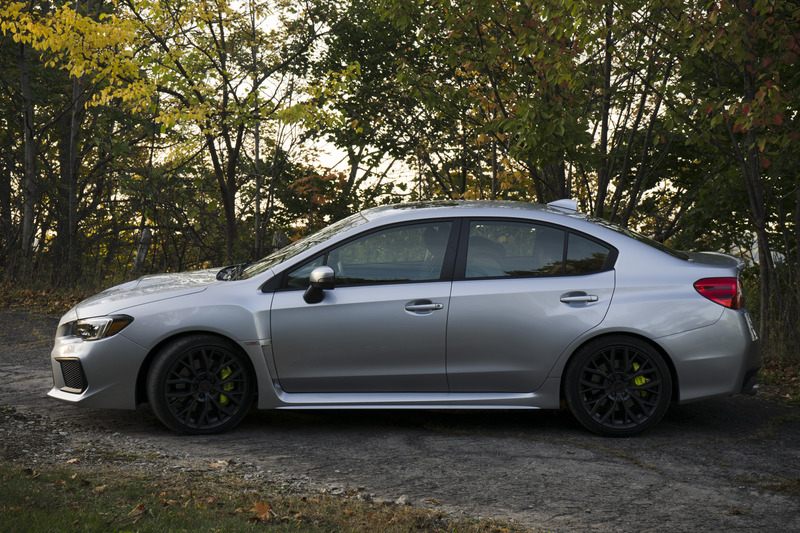 Due to improved and upgraded internals, the new STI makes…wait for it… 310 hp. That is a whole 5 hp more than last year. 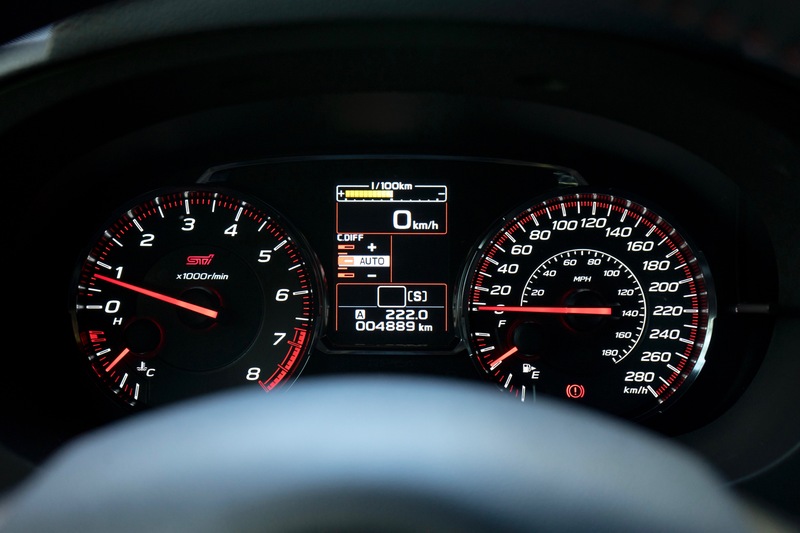 On top of that Subaru says they have revised the third gear ratio for better acceleration. 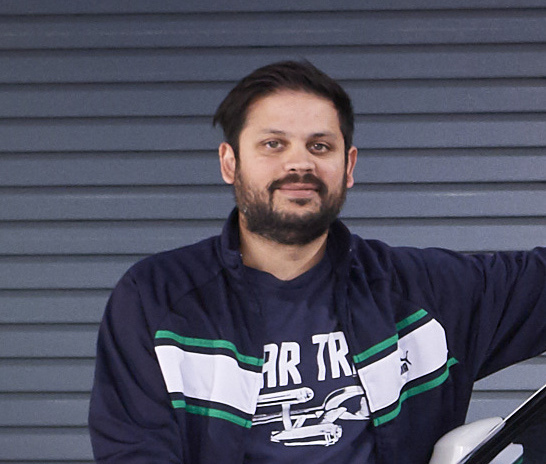 100 km/h can be achieved in a fleet 4.9 seconds. Not much different from last year and not something I could feel. Still, it’s there and we’ll take it. The current Impreza, which the WRX is based on, has been with us since 2011 and even though the STI version didn’t hit the market till 2015, the chassis feels outdated quite quickly when compared to some of its newer rivals. It’s nice that the STI retained its hydraulically assisted power steering unlike the WRX, which has made the switch to electric. The hydraulic steering is quick, well weighted, and sharp. It’s also talkative, twitching and tugging over rough surfaces. A great feeling these days, but one that also feels like it’s a few decades old, kinda like the rest of the car. Not a bad thing in any way, mind you. At least in the STI. 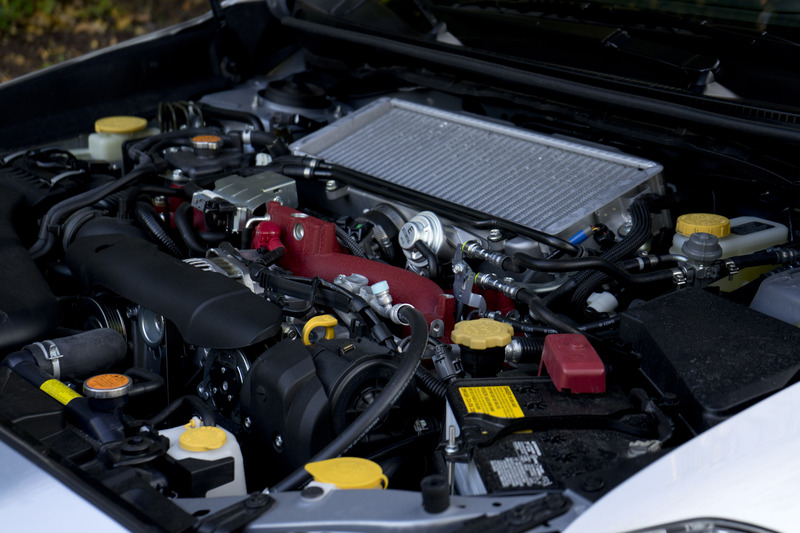 Designed by parent company Fuji Heavy Industries in the late eighties, the EJ series of engines have been around in some form or another powering Subarus all over the world. 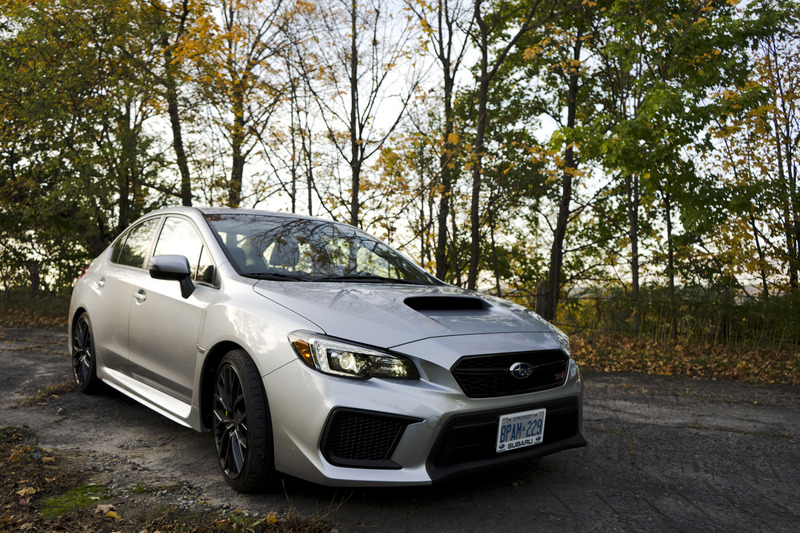 A turbocharged EJ has been used in the WRX since 2004 and like the chassis, the engine has a nostalgic feel to it. If you’ve ever wanted to know what those turbo rockets from the first Fast and the Furious movie felt like, you need to drive an STI. Most modern turbo cars develop peak torque just off idle at like 1200 rpm and hold it there till 5000 or higher. 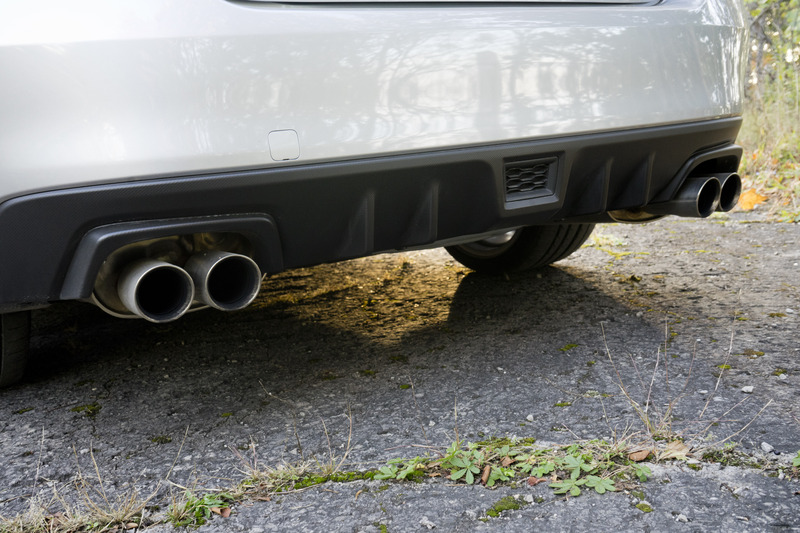 This makes them tractable and very usable in day-to-day driving. You don’t really need to wind them up too high. Floor it in the STI on the other hand and you get nothing…nothing…then BAM, a fistful of torque. It can catch you off guard if you’re not expecting it. Its 290 lb-ft of torque comes in at 4000 rpm and holds till 5200. 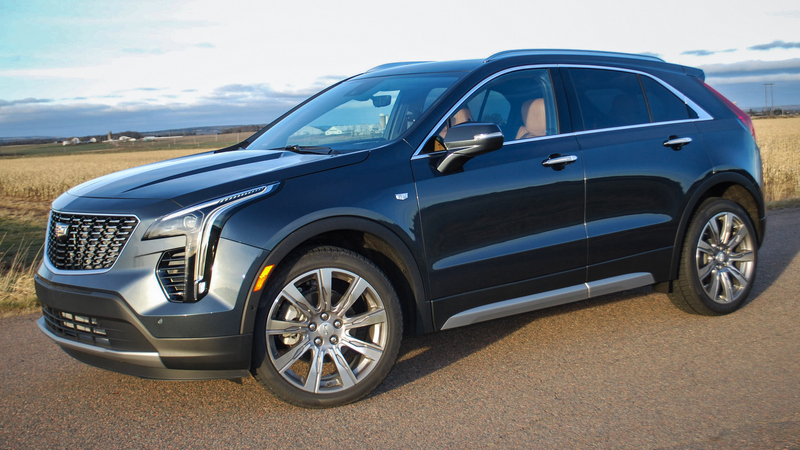 Peak power doesn’t hit till 6000 rpm making this a turbocharged engine that you need to rev. That’s right, this STI is manual only. Ha! 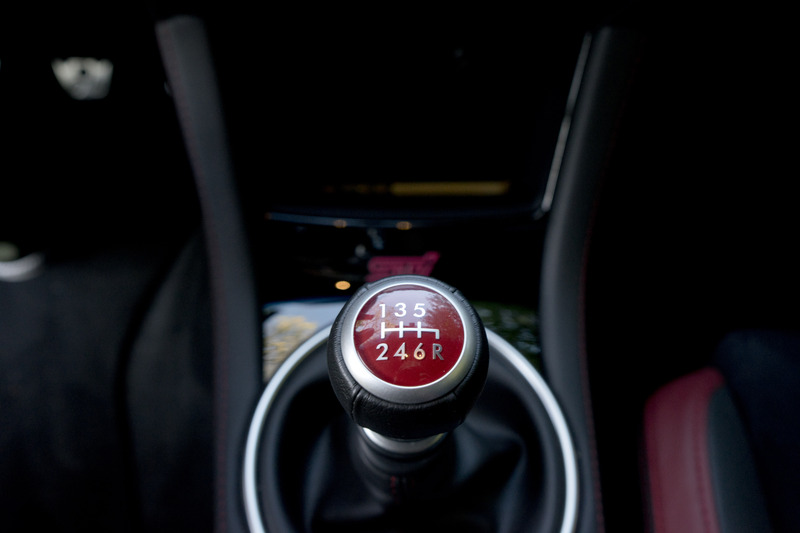 The omission of an automatic transmission means that STI drivers must belong to an underground order of people that prefer to row their own gears. Paddle shifters need not apply. Ok, so there’s no secret club. But maybe there should be? 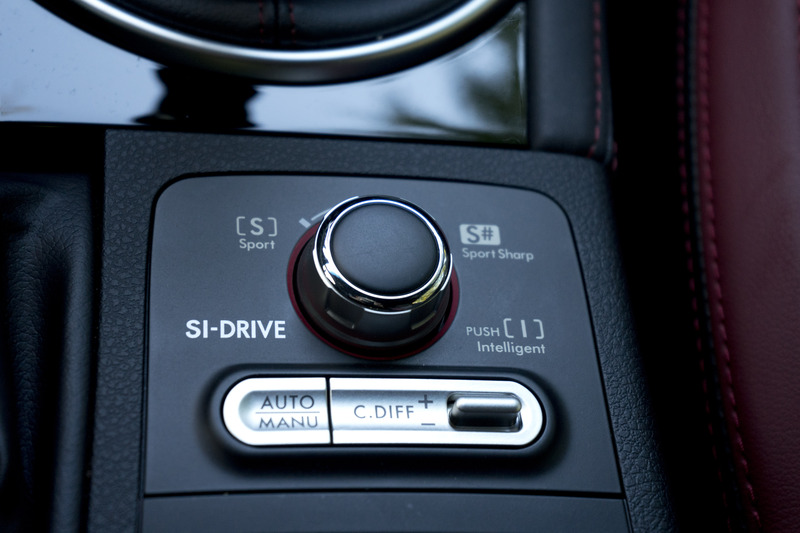 The 6-speed box in the STI can feel slightly ropy at times, but the gates are well defined if rather tightly spaced. I kept getting fourth when I wanted sixth. But some practice corrected that in no time. The STI has always been a fast car. I’m not sure if that 5 horsepower bump has made much of a difference, and sure 310 hp is nothing to really brag about anymore, but row through the gears as fast as you can and this STI pushes you back into your seat with authority. The acceleration is not linear and provides a characteristic surge to the redline uncommon in most cars today. Better yet, thanks to its AWD drive system, it’s still fast if the road is wet, or covered in snow, or dirt, or gravel, or even banana peels as Subaru demonstrated. Because of course they did. And if that’s your thing, then there’s no problem here. But if you like your sports car to roar down the street setting off car alarms, the STI will not do that. This is a small problem, though, as the first order of business for most new STI owners is to rip out the stock pipes and replace them with something much beefier. There is a familiar reassuring blat from the pancake four at high revs and it actually sounds really good. Just more subdued than I thought it would be. 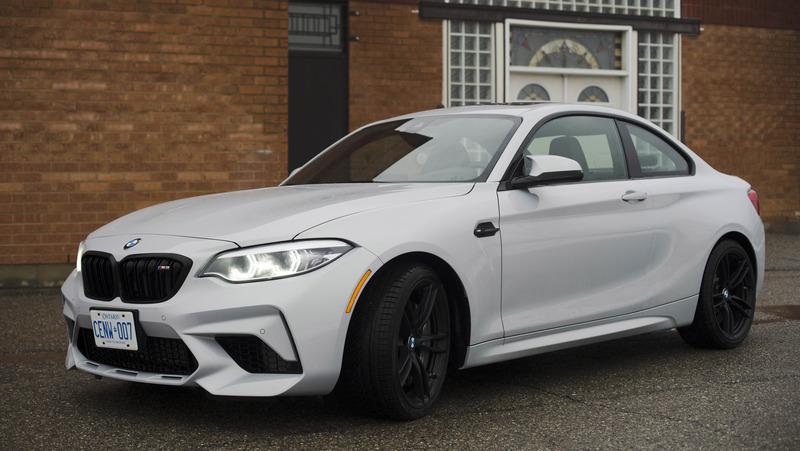 There are a couple reasons why you’ll be spending some extra time at the pumps and one of them is the aging design of the EJ25 motor in comparison to the myriad of turbo 4s that make similar power but use more modern twin scroll turbos that have less turbo lag and dole out torque faster and earlier in the rev range. 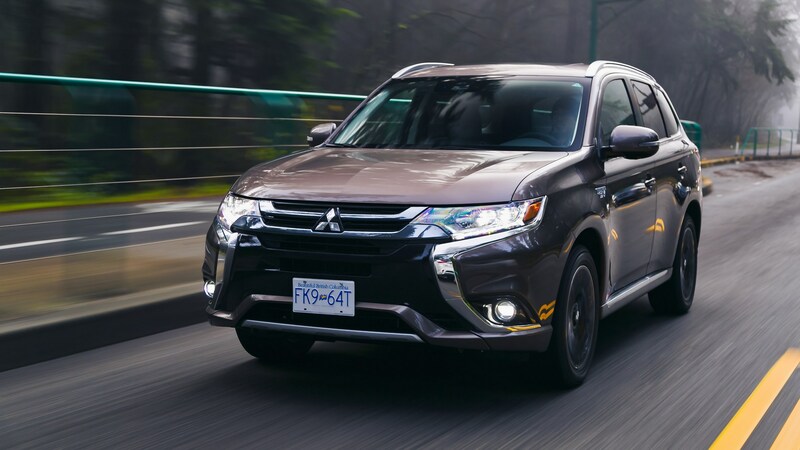 The other reason is an AWD system that’s always on with a constant torque split of 41/59 front to rear. Driving four wheels is always gonna use more fuel. No matter how you look at it, this Subie just isn’t much of a looker. It’s better than the previous generation but I would still call it an acquired taste. The good news is if you don’t want that gigantic wing on the back you can opt for a subtle lip spoiler like on my test car. And while it doesn’t really change the looks all that much it goes a long way to making the STI look a bit more mature and not like you just turned 19 and got carried away on eBAY. It totally does. It might not be the most economical but it carries 5 people, has a pretty big trunk that easily swallowed our full-size stroller, and is an easy car to drive. Even with a manual. There’s ample torque so unless you want to rip it, you really don’t need to shift that much. Vision and sight lines are excellent and the Sport-Tech STI came with the new 7-inch infotainment screen with navigation, Apple Carplay and Android Auto, and a great Harman/Kardon stereo. The Recaro seats (standard on the Sport-Tech trim) are great and come wrapped in a nice suede-like material with red leather accents. They are all-day comfortable and supportive. 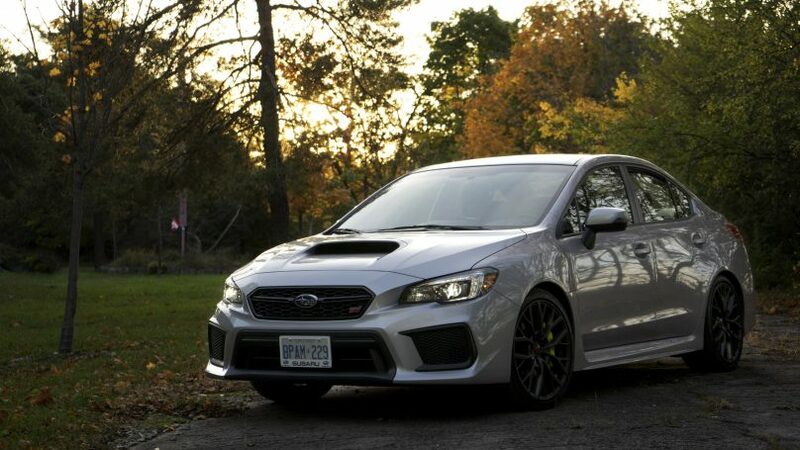 Is it worth it over the standard WRX? 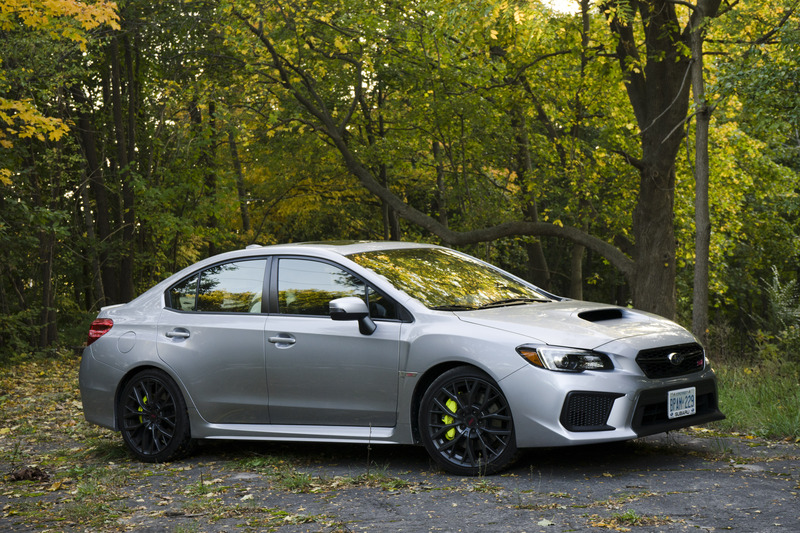 There’s a $10,000 price difference between the two with the STI starting at just over $40K. The STI is a stiffer car. 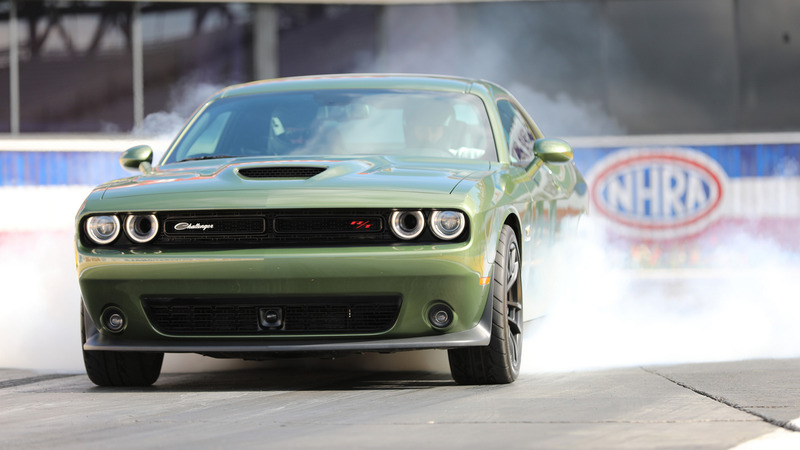 It has bigger brakes and bigger wheels, 3 limited-slip differentials and 40 more horses. The WRX has a newer, more high tech twin-scroll turbo 4-cylinder engine that, while down on power, is really not much slower. And it might even feel quicker around town with all that low-end torque. Does that make it better? No. The STI is unique in this world, a go-anywhere rocket from Japan that comes with a brilliant AWD system and an engine powered by the ’90s. It won’t be around much longer and I think it’s definitely the one to get. Consider it 10 grand well spent.